Commander John Ross leaves with his first officer Lindy for downtime with his family on the resort starship Earthstar. Ross dreads the arrival of his cold and calculating Intelligentsia father, John Ross, Sr., who was away during Ross's childhood working for the Command intelligence service. His brother's ship is hijacked with intense tug drag beams to the planet Scaeva Tengal. Ross and Lindy appropriate a hotel ship but are also taken to Scaeva Tengal by the tug drag beams. They are prisoners of the Sol Domain. Sol is a Cyvac, a human whose neurological pathways have merged with advanced nanocircuits. Cyvacs are programmed and follow order. Human destiny and aspirations are stripped away. Such beings are the result of a runaway Command project called the Pegasus-Merisheli. As Lindy and his family face revacing at Sol City, Ross escapes to the Heartland with his father, gaining a closer bond as they search for the director of the Pegasus-Merisheli Project, Dr. Tsiolkovsky. After encountering a divergent religious order called the Elias Sect, Ross and his father reenter Sol City for a final showdown with Sol. But Sol has joined forces with Ross's defeated enemy from the Antarian War, Rafac, and a rogue Command ESS commander, Jack Bragg. Using the revacing technology they have taken over ESS ships, including Ross's own vessel, to avenge the Antarian loss to Command during the war. 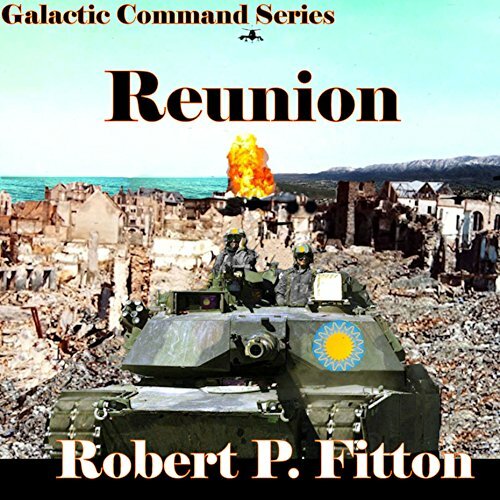 All of Command is threatened unless Sol and Rafac are stopped.